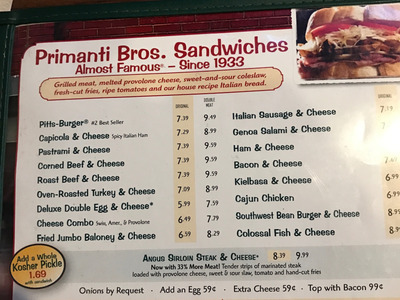 Allan Smith/Business InsiderWhen you’re in Pittsburgh, you stop by Primanti’s. 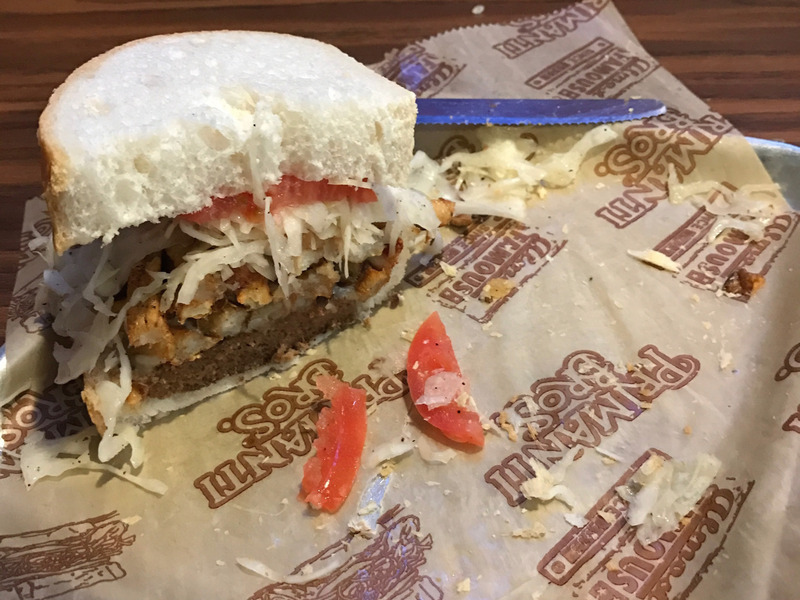 Primanti Bros. is home to legendary sandwiches. I made sure to stop by when I was visiting my hometown Pittsburgh, which is home to the growing restaurant chain. The sandwich did not disappoint, and I believe it has the potential to help the chain spreed across America. There are few things more American than eating a sandwich with a side of french fries and coleslaw. But one of those things might be piling the fries and slaw directly on to the sandwich. And, the best place to do that is Primanti Bros. in Pittsburgh – a small restaurant chain whose claim to fame is a sandwich that allows you to hold an entire meal in your hand. 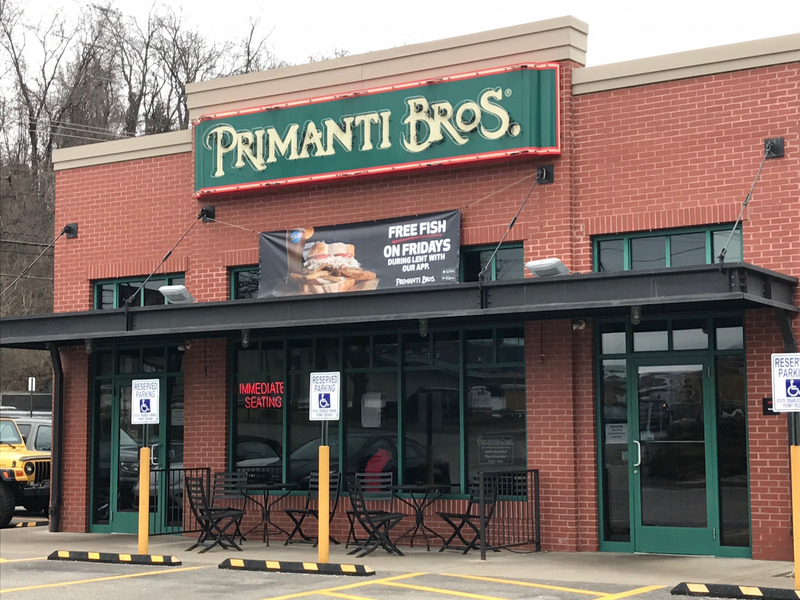 Primanti’s started in Pittsburgh as a sandwich cart during the Great Depression. 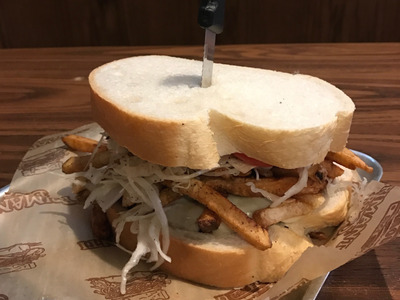 Sandwiches were stacked with meat, fries, and coleslaw for steelworkers who swung by during their lunch break and didn’t have time to fuss with all the ingredients separately. The chain has expanded over the years. First, it spread throughout the Pittsburgh area before going into states like West Virginia, Ohio, Michigan, Maryland, Indiana, and Florida. 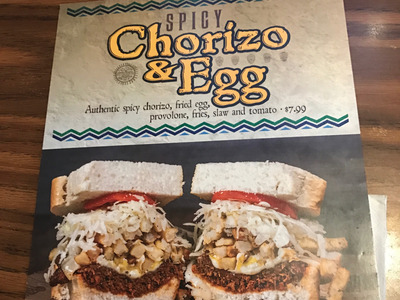 It’s gotten a fair share of national attention over the years, and it’s rare to watch a Pittsburgh Steelers home game where the announcers don’t make mention of the fabled sandwich. 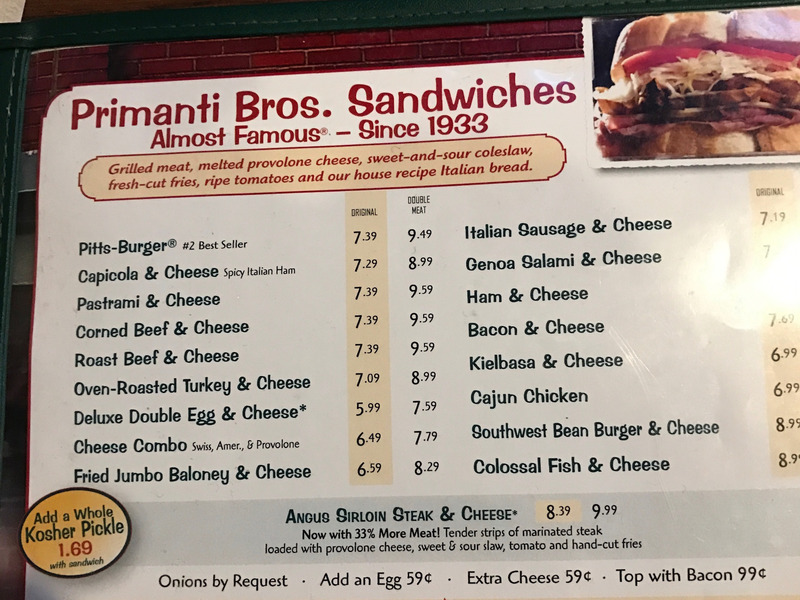 When you’re in Pittsburgh, you stop by Primanti’s. So, the last time I was in town, I decided to conduct a taste test of my own. 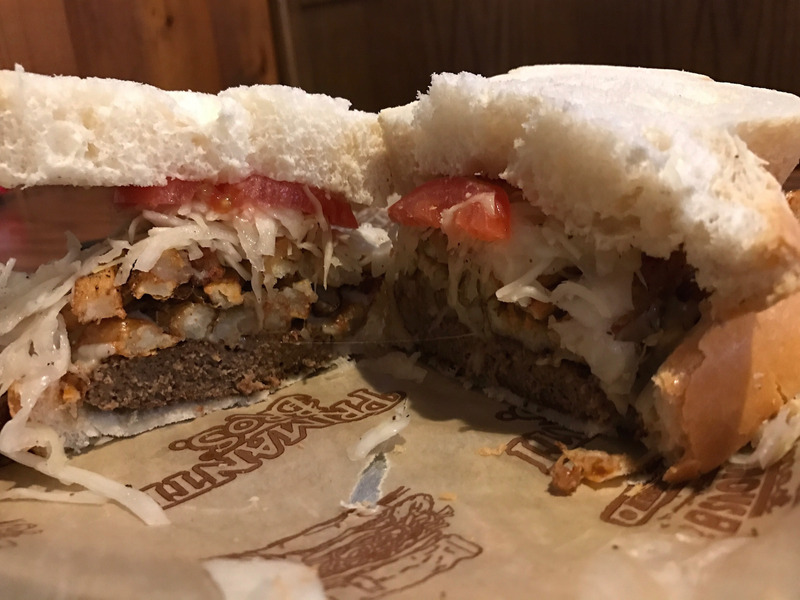 I took a trip to Primanti’s Mt. Lebanon location in the Pittsburgh suburbs, conveniently down the street from my home. The Mt. 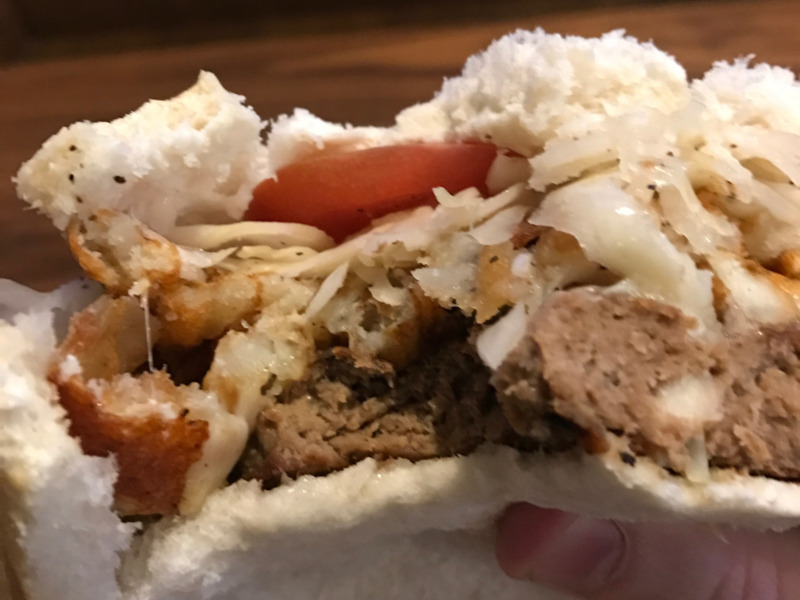 Lebanon location is one of the newest the chain has opened in the Pittsburgh area. As soon as I sat down, it was time to tear through the menu, even though I basically knew I was going to get the “Pitts-Burger,” a mountainous sandwich comprised of meatloaf, fries, slaw, provolone cheese, and tomato served on very thick Italian bread. Every Primanti’s sandwich has fries, slaw, cheese, and tomato. The only thing that changes is the meat – and you can add an egg, bacon, or extra cheese on request. The chain often runs specialty sandwiches. In this case, they’re trying out a “Chorizo and Egg” special. The waitress asked if I wanted to consider — but my head and heart were dead set. The sandwich is quite the sight to behold. Less-experienced eaters may struggle with such a monster — but I think I’ll be OK.
There’s virtually no wait for the “Pitts-Burger” to come out, though that may have something to do with the fact I’m sitting in this suburban location at noon on a Tuesday. Obviously, you have to cut the sandwich in half. This is where you see the true beauty of the beast. The fry-to-meat-to-coleslaw ratio is perfect. But that brings me to the most controversial part of a Primanti’s sandwich — the bread. Some people think it’s just too thick, and some bites feel as if you’re just chewing on a loaf of bread. On the other hand, the bread helps keep the sandwich in order. For as much is on this mammoth, none falls out the sides or back while you’re eating. 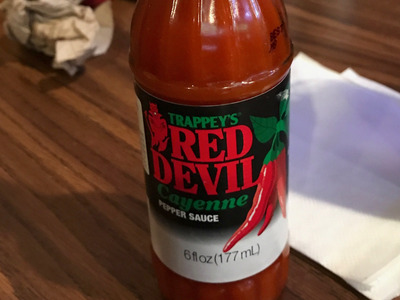 I advise putting just a bit of the Red Devil hot sauce the restaurant provides on the sandwich. It does wonders. It doesn’t take long before I’m halfway through. I mean, it’s the first time I’ve had this hometown classic in a couple years. I’m excited. It’s good. I’m happy. 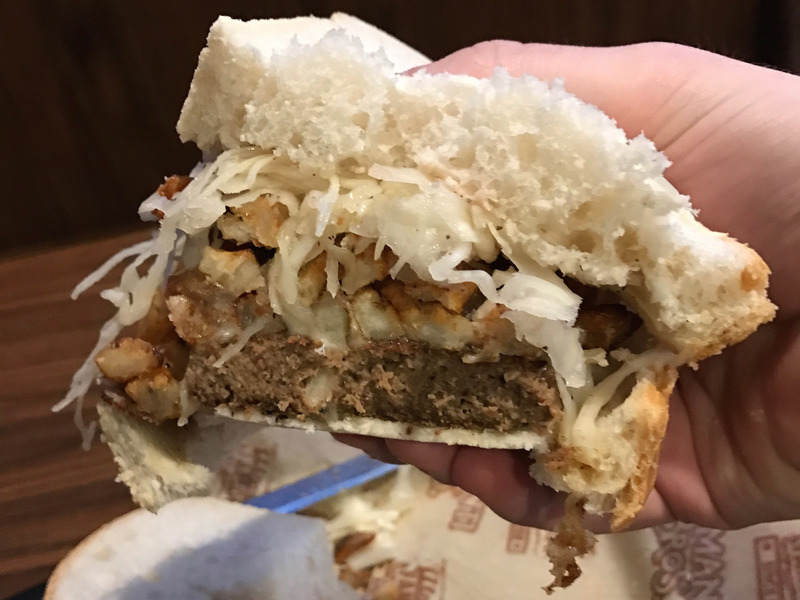 As you can tell, the ingredients aren’t spilling out of the sandwich, which is common for a creation this large. This minimal spillage is impressive for the contents. The ratio of this sandwich looks even better after taking a bite. I’m well into the second half of this behemoth, and there’s no stopping me now. 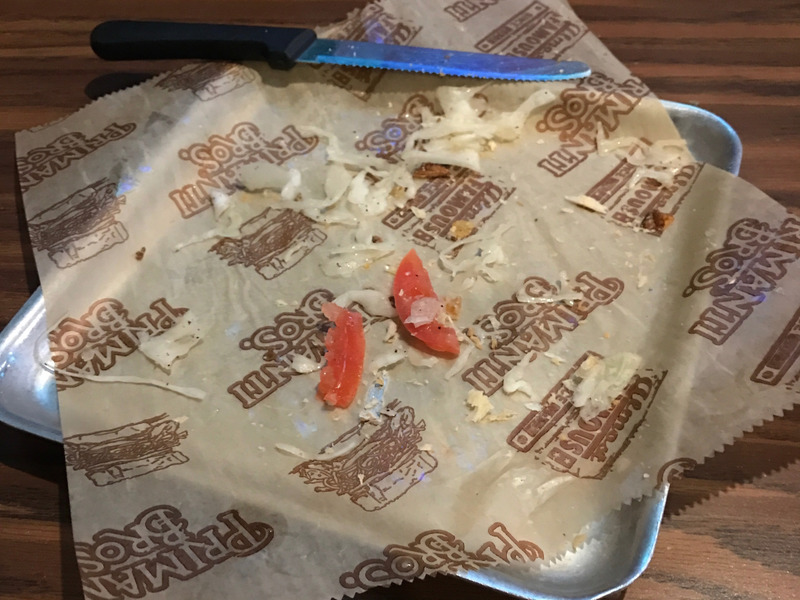 All that fell out were a couple of tiny tomato slices and some strands of cole slaw. I’m satisfied, now sufficiently full for what will be hours. And the sandwich is a great value too – less than $US8. While the bread can be overwhelming at times, this is a must-eat for any sandwich lover. It’s a must-do while in the Steel City.